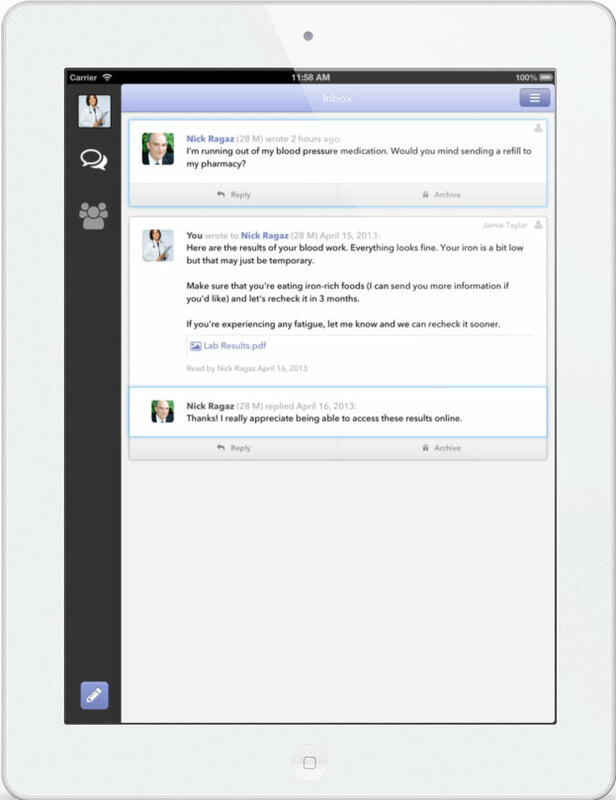 What if you could contact any of your patients, instantly? When your patients are on Wellx, you can send them information as quickly as sending an email, but with the security you need for healthcare. You and your team can ensure that the right person responds at the right time to patient messages. Wellx is designed for solo, group and multidisciplinary practice. Doctors, nurses and other clinicians use Wellx every day with thousands of patients. Learn how Wellx works in their practices. With Wellx, you can share test results, treatment plans and other information to help your patients manage their health. When they have questions or run into problems, they can get in touch with you for help. You'll feel better connected to your patients and more in control of your practice. * For links to these studies, see our blog post about patient messaging and diabetes care. Using online communication can reduce your phone volumes by as much as 18%. ** And when you want to contact a patient, you don't need to play phone tag – just send a quick message. ** See Liederman et al., Patient-Physician Web Messaging: The Impact on Message Volume and Satisfaction. You and your staff can start using Wellx with just 15 minutes of training. If you already have emails for your patients, you can invite them to Wellx in just a few clicks.